A few weeks before our trip began, Scott had published a Tower Site of the Week on Smith Hill in Utica. Since it was on my way anyway, I decided to test out my new digital camera, with limited success. 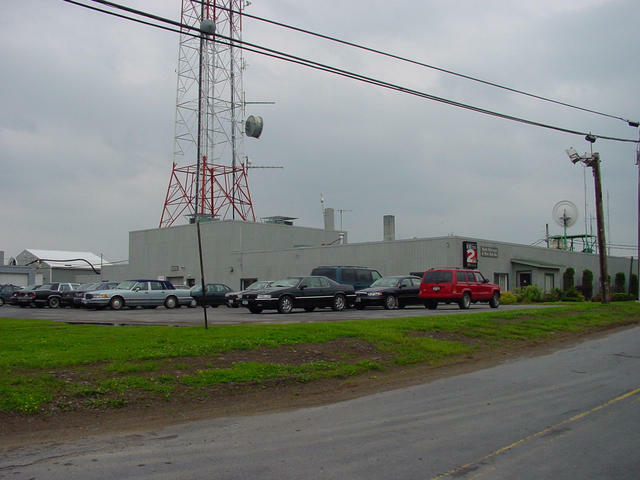 I did get a decent photo of this, the WKTV (2 Utica) studios on Smith Hill Road. The tower out back doesn't carry channel 2, but it does have WUNY (89.5 Utica), a relay of Syracuse's WCNY, and a WCNY-TV translator (then on channel 59).